Six years ago I was put on a 3 1/2 week therapy(seems so paradoxical to even use that word)of Cipro twice a day. I have been in medical sales all of my professional career and should have taken closer notice, that my legs were hurting me and should have stopped immediately. I took a generic so there is no recourse legally for the damage that was done. I have never recovered, in fact, in many ways symptoms have grown worse. Post Cipro I was left with Peripheral Neuropathy in both feet, shins, calves, 24/7 365. It is daily torture and difficult to live with(but its better than the alternative). I also deal with diffuse pain all over my body and no doctor can tell me the cause. I have Idopathic Peripheral Neuropathy(meaning, there is no known cause). Each doctor I have seen, I tell them that I know that the Cipro was the culprit, to which, they look at me like I have two heads. I have been examined, tested, leaving me again with no answer(s). I have tried Lyrica, Amytriptoline, Nortriptoline, Gapapentin, they only made me feel really spaced out, with no relief. I have been through Electric Signal Therapy, Reif Lamp Therapy, Himalayan salt foot bathes(to leech out the toxins), also with no relief. I visit a Restorative/Rehabilitative MD, who has had me follow various diets(Elimination Diet, Detoxing Diet, Mitochondrial Diet)and lots of supplements directed toward reducing toxins in my body, reducing inflamation, improve the daily torture. As of yet, nothing has helped. I started several weeks ago LDN (low dose Naltrexone), which is supposed to help with the pain and discomfort. We shall see, the jury is still out. I have been ingesting CBD Hemp Extract for over six months now, hoping that it will bring relief, but the jury is still out on this one as well. For over 30 years I was a very serious recreational athlete. I have been around the earth’s circumference two times(52,000 miles)as a result of running the New York City Marathon, having done 12 Olympic Distance Triathlons, thousands upon thousands of miles road biking, roller blading in the street for distance, swimming, running races, as well as being a gym rat. All of the recreation that I loved so dealy, was taken away from me. I have been so inactive that I have suffered a great degree of muscle wasting. I am attempting to get back some strength by doing Aqua Therapy(but everthing I do feels good for the moment and than I hurt even more). I know that you are supposed to be sore after exercising, but the aftermath, is more than just soreness. I have not gotten yet to a place, where I might not experience the aftermath, as significantly. Radical exceptance is what I have been told I must embrass. I have to be thankful, for many people, have it far worse. Depression and Anxiety are always close by and without medications to help me with that, I would be far worse off. Sitting in a chair with my feet on the floor is often times unbearable. I try to walk in spite of knowing that I am going to hurt more as a result, but one foot in front of the other is my only true option. I try to remain hopeful, that one day, things will improve. It is very difficult to overcome feelings of hopelessness at times, but I fight that monster under my bed, to the best of my ability. It amazes me that my local Pharmacy sells over 1200 Cipro a week and other than me, no one has been harmed, in the manner that I have. To all of you who are in similar situations, my heart goes out to you. I pray that we will one day find some peace of mind, body and soul. For those that were harmed, but healed from the damage done, I could not be more thrilled for you. I don’t want anyone who reads my story to feel hopeless as a result of doing so. My daugther gave birth six weeks ago to our first grand child Brooklyn(girl). We are expecting another grand child in October(a boy). After being terminated from my job of 34 years, and having 2016 as a year I would rather forget(but can’t) I landed a new job whihc I truly love. The CBD Hemp Extract has impacted my emotions in a positive way, so I do not find myself being overly negative. There is hope to those who believe. As long as we have hope, great things are possible. Hi Stu, I was floxed 4 yrs. ago this past Feb. 2018 w/ Cipro as well. Although mine was given in the hosptial via intrevenous. I have the EXACT same problems that you have.. EXACTLY! I could not walk for almost 2 yrs. and used a walker, then a cane, now.. at least in the spring, summer and fall, no need for one. Up/down stairs is excruciating. You are in my prayers, and we know one day we will receive new bodies from YAH, I look so forward to that. Today, I am 90-some % better. I still have the fluid around my heart which need to be checked periodically to make sure it has not grown. I still have vision issues, although it is certainly clearer than it was and the sensitivity is greatly improved. My toes are still numb. I still on occasion get pelvic area pain and pressure. I don’t know if the effectiveness of IV therapy lessens with time or not (time of injury.) As for the torn meniscus, I had prolozone injections in both knees (not to be confused with prolotherapy) and so far so good! I could not put any weight on my right knee and was using a can at the time. Today I am back to doing pretty much everything I did before, although I try to avoid hard impact. The prolozone takes a few months to work, but it helps your body heal itself. MY ND did the injections but many sports medicine doctors now do it. Good for other connective tissue damage, like tendons. If that is the cause of some of your pain, I would look into that. Wishing you some recovery. Wow “L”, so many similar stories. I too have floaters that appeared o/o NOWHERE, and light sensitivity myself. I still have to shuffle around to and fro, especially early in the AM’s, late in the PM’s and if I get o/o bed in the middle of the night. The excruciating pain continues throughout my body and it travels, I think mimicking fybro and MS. Prayers for you as well “L”. Thank you for sharing. Interestingly, once I started the IVs one of the first things to go was the excruciating pain. (It was so horrific—worse than when I had cracked ribs—that I actually went to a local ER, after swearing off allopaths. They wanted to do a bunch of tests and I left without anything.) I hope you see some improvement. me too, I’m NOT willing to be used as a gunea pig any longer, no tests, no hospitals, no more doctors. I’m trying holistic, and it’s helped. They call it all a “practice – medical practice” for a reason. **sigh** I digress. what IVs relieved you of pain? are you without symptoms anymore? To be honest, Stu, I am not certain. The ones I got (rotating) were high dose C, Myers and Phosphatidylcholine…I had a LOT of those. I also was getting H202 to wean off asthma meds, but I don’t think that would have had any effect on the pain. I wish I could say I was all better. I can’t. BUT compared to where I was, I am light years away. I had over 30 side effects and several of them were terrifying. I thought for sure I was going to die. I gasped for each breath for months, feeling like I was suffocating all day and night. I had indescribable olfactory nerve damage to where every thing in the world asphyxiated me. This is so far out of our realm of experience, it is just unimaginable. Even something like a baked potato would bring me to tears because it was so asphyxiating. I couldn’t leave my apartment, except to go to get IVs and whoever took me could not have even lotion on, or coffee in the car. Imagine being surrounded by huge open vats of bleach 24/7. That’ what it was like. I literally was contacting people around the world and the country for reassurance it would go away, because that, along with the breathing problems were deal breakers. I also had a lot of vision damage. So many floaters it was like trying to look through gauze for the first year…then diagnosed with some eye diseases, and also my visual acuity dropped. I had torn meniscus in both knees, tinnitus, fluid around my heart, excruciating pelvic pain and pressure, horrific mental side effects, choking sensation, and a couple dozen other “lesser” side effects like hives, and losing my hair. Oh, and my gut was just destroyed. I lost 1/4 of my body weight in two weeks and could barely walk without help. I just wanted to give you a link to a supplement that has helped me tremendously!! I’m 4yrs and 2mos out from Cipro (and 3 other antibiotics) with steroids – I had every symptom I’ve read about. I thought I was definitely going to die. Anyhow, this supplement helps me with my brain issues, pain, joints, sleep, recovery time – for example when I would do a lot around the house or yard it would take me 3 or 4 days to recover. Now I can do whatever I want and I don’t need any recovery time. Also, I have PN on my back and it takes it away. It truly helps with everything Cipro caused. I hope you try it and get some relief. Stu, I have had a similar experience with 2 1/2 years after CIPRO treatment, in being in hospital in Hastings, New Zealand for 3 nights, being discharged 2 days ago. Over our weekend, I will post a large reply, but for now I will post a brief summary of my ideas of what is going on and what can be done about it. a. Your bacterial system goes out of balance, leaving a residue of bacteria which are resistant to anti-biotics. Technically you have Dysbiosis, a dominance of bad bacteria over good bacteria. Our guts can cope with this to a point, but when these bacteria get into our tissue with poor maintenance we have a problem. Such places are nerves, tendons, connective tissue etc. For example a single nerve cell goes from the spine to the tip of your toe and blood gets to it poorly. b. These Bad Bacteria have developed over millennia and have strategies to stay in the host. In my case it is probably a or many species of Pseudomonas. This is an interesting bacteria. It is Aerobic and Anaerobic, can attack plants and animals and releases toxins when under attack. c. To quickly deal with the pain these 2 strategies that I have used at times, one learned from Lisa. d. Strategy 1 – apply Doterra Digestzen Essential Oil to your skin. I applied 4 drops to my stomach skin and 15 to my right thigh last Monday Night. You rub this over the skin by hand, perhaps diluting it with cocnut oil. Its Ingredients are Anise Seed, Peppermint Plant, Ginger Rhizome/Root, Caraway Seed, Coriander Seed, Tarragon Plant, and Fennel Seed essential oils. I was able to get up from the Hospital bed and use a frame to walk about 7 metres the next morning. On the previous day, I had massive pain and could not move a step. The bacteria was releasing toxin. e. Strategy 2 – A parasite cleanse called Para-Cleanse,which you take twice per day, 6 different capsules at a time. This took 4-5 days to eliminate the pain when I first used it. It contains old natural remedies such as Black Walnut, wormwood and dozens of others. It will also eliminate your worms , yeasts and all sorts of parasites. f. Long term I am about to start taking Kyolic which the Japanese developed centuries ago. Garlic is aged for 20-22 months, fermented etc. This is taken by mouth and can pass through ANY tissue in the body over time and eliminate bacteria in nerve cells for instance. I found this years ago for a 90 year old friend who had a herpes virus in the light sensitive cells in her eyes. The Kyolic solved the problem over about 6 months. The Ecklonia Cava Extract is probably functioning in a similar manner. I would suggest that you put a drop or two of Ginger Essential Oil on your skin and rub it in once or twice a day for a week. I have no pain and more importantly no inflammation through my body since starting using ginger oil about 4 weeks ago. I found a research article written by dental scholars where they were testing Cinnamon and Ginger Oils against bacteria in a lab environment – Ginger Oil was much more effective than antibiotics. Regarding your overall health – have a look at the “The Great American Health Hoax” by Raymond Francis and “The Gut Balance Revolution: Boost Your Metabolism, Restore Your Inner Ecology, and Lose the Weight for Good!” by Gerald E. Mullin . The principles and Ideas in both have restored my overall health. Hi Stu. I have PN from Levofloxacin. Has it improved at all? You know that in the Floxie community, we’re all listening to each other to find paths to healing as Docs are clueless, so I wanted to put this out there hoping it just might help. Read about Dr Carolyn Dean if you can. Her research into Magnesium could almost eliminate the need for most big pharma. 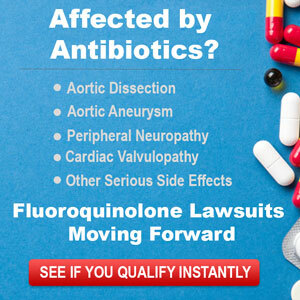 Dr Dean was not well informed regarding fluoroquinolone toxicity. She was not at all aware of the enormous scope of it. After I contacted her office she graciously agreed to amend the information she had but I would not call her an authority on the subject. All the supplements you mentioned are very good. I would also add a good probiotic because the damaged gut microbiome can lead to virtually every disease you can think of. Wow, your story is my story to a tee when it comes to all the floxing, pain, doctors and so on. I heard good things from another floxie about LDN (low dose Naltrexone, I hope it helps. I may want to try it, I’ve been so afraid to take any drugs from the doctors, but this one seems to be ok.